The owner of the Oakland Raiders, Al Davis, has died at the age of 82 and football has lost one of its most colorful figures. Over the last few years, most of the conversation about Al Davis has centered on the questionable decisions he made and the direction in which he took the team. 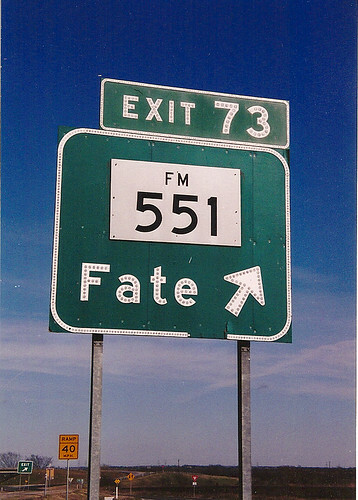 Many people blamed the Raiders fall from football prominence directly on Davis. A lot of this may be true, but Al Davis was also something else. He changed football in many ways and he did things that no one else had ever done. 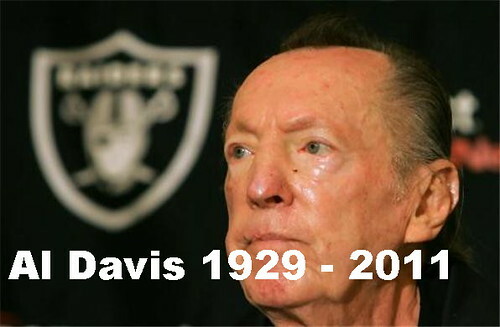 Football will miss Al Davis. Terrelle Pryor was signed by the Oakland Raiders on Thursday night and the Raiders intend to start him off as a QB. According to NFL Network analyst Jason La Canfora, Pryor will likely receive about $500,000 guaranteed as part of his contract. Pryor will be able to practice with the Raiders for the first time today. 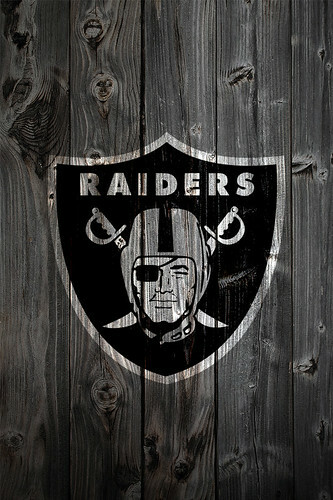 He will most likely not play in the Raiders third pre-season game on Sunday. 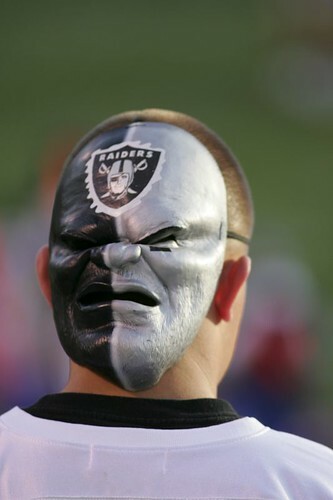 The Raiders will then have 3 more practices before their Sept. 2 preseason game against the Seahawks. Pryor may not be ready to play in that game either. But I wouldn’t be surprised to see him go out there at least for a couple of snaps. Two matchups this weekend that are going to be excellent – or at least they look like they will on paper. One is for dominance of both the NFC South and possibly the entire NFC and the other is a smash mouth fight for the AFC West. I’ve always thought there was an uncanny resemblance between Raiders owner Al Davis and the evil Emperor from the hit Star Wars trilogy (yes it is still just a trilogy). And the two powerful characters have more in common than just strikingly good looks. Both men are the figure head of an often perceived dark organization and both men are often seen as too power hungry in their own leadership role. Both also have to deal with a hot headed, abusive troop leader and this doesn’t make any powerful leader’s job any easier.